Granada is a remarkable city. It’s not particularly large (around 240,000 inhabitants) but it’s full of things to see and do. The Alhambra Palace, a Moorish citadel, is the main attraction, but part of the joy of Granada comes from simple pleasures: strolling around the winding streets with the distant sounds of flamenco guitar, meeting friends for a beer and tapas in one of the hundreds of bars scattered around the city, or just gazing at the backdrop of the wonderful Sierra Nevada mountain range. Life in Granada is fairly relaxed with a reasonably low cost of living (free tapas). The university of Granada is a popular destination for Spanish and international students and this keeps the place buzzing with a youthful vibe. There are entertainment and cultural activities for every taste here, ranging from classical concerts to flamenco shows to stunning theatrical events (Federico Garcia Lorca, arguably the most important Spanish poet and playwright of the 20th century was born was a Granadino) to every type of music from punk rock to techno. For nature lovers and adrenalin junkies, Granada is ideal. It’s close to the mountains and the beach so you can go skiing in the morning and watch the sunset on the beach in the evening. Granada is divided into neighbourhoods (barrios). When I first moved to Granada, I was lucky enough to work in the Albayzín, the Medieval Moorish heart of the city. It’s a World Heritage Site and in some aspects hasn’t changed in hundreds of years. There is a substantial community of English speakers here bumping elbows with local Granadinos. For a more lively barrio full of students, Realejo is a good choice. There are lots of great cafes and bars here, with some incredible architecture. If you really want to avoid English speakers and immerse yourself in Granadino Spanish, you would be advised to live in working class barrios such as El Zaidín (where the football stadium is located) or La Chana. Accommodation is cheaper here and you will get a real feel for Granadino life. Some teachers prefer to live outside the city. Transport links to the city are generally good and you can find some real rental bargains in satellite towns and suburbs such as Maracena, Armilla, Atarfe, and Santa Fe. Living in these smaller towns will test your Spanish but you will get to know local people who will beg you for classes when they find out you’re an English teacher. Most English-speakers work as English language teachers in Granada. Some of them have opened up their own schools or work on a freelance basis, but the majority find work in one or more of the hundreds of English language academies around the city and the surrounding areas. Lots of teachers supplement other activities with teaching hours. It’s the kind of place that brings out your creative side. There are lots of start-ups here and co-working spaces, so you can spend time on your own professional projects in between English classes. In the city, there are a lot of academies but there are also a lot of teachers. Even though there is just enough work for everybody, you will stand a better chance of finding a well-paid position at a decent school if you get the right qualification. Choosing the right TEFL / TESOL course is not easy, but you should aim to enrol on one which is accredited. The two main accreditation bodies are Cambridge university and Trinity College, London who moderate the Cambridge CELTA and the Trinity Cert TESOL. 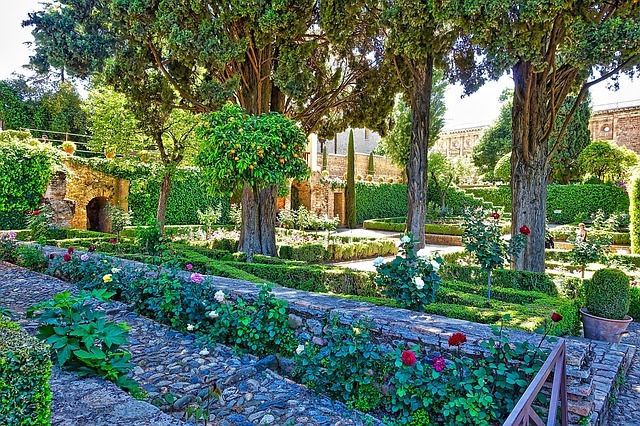 If you need to get qualified, doing your teacher training course in Granada is a great idea. You will be able to gain experience with Spanish students and get advice from your trainers and local teachers about which academies to apply to and which to avoid. Many teachers finish their course and walk straight into a job. In Granada, teachers are generally hired after a face-to-face interview. Academy owners prefer to know that you are based in Granada and plan to stay for the academic year. Your next step is to make a list of academies, especially those near where you live, and send an email announcing your availability. It’s a good idea to follow that up with personal visits to the academies. Granada is a casual and relaxed city, so you don’t need to dress formally; smart casual is the preferred interview attire here. The best hiring time is either May and June (when schools are looking for teachers to commit to the next academic year) and September to early October (when schools are rushing around to fill vacancies). January is also a good time because some teachers don’t return after their Christmas holiday. However, there is so much demand nowadays that it is possible to find work throughout the year but you might take a while to build up your hours. If you do get a full-time contract, you are likely to earn between 900 and 1200€ a month for about 25 hours of teaching. Most teachers teach a combination of kids and adult classes. Certificates are highly valued here so you will end up teaching lots of exam classes too, especially Cambridge and Trinity English exams. The majority of kids and adults classes take place (logically) after school or work, but you may be offered some early-morning classes and lunchtime classes. Many academies will terminate your contract in June so you might need to look elsewhere for the summer months. The good news is that there is plenty of work in the summer teaching intensive exam preparation courses or at summer camps. Be aware that the summers in Granada can be unbearably hot, with temperatures edging over 40 degrees. Lots of teachers from Europe look for summer jobs in the UK at this time, although you may need a Cambridge CELTA or Trinity Cert TESOL to apply for them. What about giving private classes? Many teachers supplement their income with private classes (clases particulares). Getting your first paying students is not too difficult if you advertise online with an ad (preferably in Spanish) on one of the popular teaching websites (tus clases particulares.com). The traditional approach of posting flyers around the city may also work, especially if you target the area where you live. If you keep your first few private students happy, they will spread the word for you and you’ll be contacted by lots of adults and even parents wanting private teachers for their kids. Make sure you don’t undervalue your services here; students should pay more for private classes, especially if you have to travel to their home or workplace. An alternative is to offer classes at your home, in a local cafe or quiet place, or even online. Unfortunately, Spanish students are not always the most reliable so I recommend using a contract with a cancellation clause and asking them to commit to a set of lessons (5 or 10) rather than allowing them to pay on a lesson-by-lesson basis. Many teachers get paid cash in hand for these classes (I’m not condoning the practice, just stating a fact) but you will need to do things legally if you work with businesses. Going to local companies to teach can be a good move for some teachers, especially if you have your own transport. You might decide to become a freelance (autonomo) teacher, which means you will be able to charge over 20€ for your hourly rate. 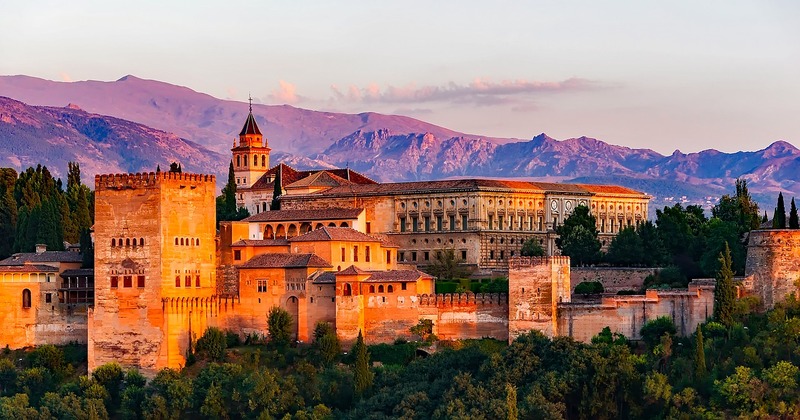 Teaching freelance in Granada is not as common as in bigger cities like Madrid or Barcelona as there are not so many companies here willing to pay higher rates for in-company teachers. You should also know that freelance teachers have to pay about 280€ a month regardless of their earnings in their second year of working as an autonomo. In the first year, you only have to pay about 50€ for the first 6 months as you build up your business. Granada is an ideal destination for English language teachers. You won’t necessarily get rich here, but there is plenty of work, the students are lively, and teachers love living in a small and beautiful city that has something for everyone. In fact, many come here for a few months and end up staying for years. It’s that sort of place. At Teach English Spain, we run Trinity Cert TESOL courses in the centre of Granada. By Dylan Gates, Teach English Spain, Granada. If you have any questions for Dylan or also have experience teaching English in Granada and would like to add some additional advice for prospective teachers please leave your reply in the comments section at the bottom of the page. Course director, Teach English Spain, Granada. I’ll be a college graduate this coming summer in the United States. I did one semester of my bachelors degree in Granada and really want to come back to teach. My host family has offered me a really good rate to return and live. However, to apply for a spanish work visa from here my employer has to request that i be allowed to ahead of time from my American based Spanish embassy. Any way you recommend finding this kind of employment? What about if we did an online TEFL Certification course, but have real teaching experience…would that be acceptable? hi. if I have only done a short online Tefl course would that be sufficient for teaching small groups or one to one there. My husband and I plan to move to Granada with our children in September 2018. I will have completed my master’s degree in Drama as well as a TEFL course online. What are my prospects for securing English teaching roles in Granada. There are lots of private academies in Granada so there is plenty of work teaching adults and children. I would send your CV / get in touch with academies in the summer (May / June) and tell them you’ll be available in September. Many academies don’t hire until the beginning of the academic year (when they know how many students they’ll have) so you may not be offered anything until the last moment. One more thing. Online TEFL certificates are not always accepted by employers. Have you thought about doing a face-to-face course? Hi. I am finishing my on line Tefl course but I would like take the CELTA. Could you send more info please. I live in Madrid. I run Trinity Cert TESOL courses which are equivalent to the CELTA. Are you still interested? Hi, kindly send me info. On TESOL & TEFL with course fee. We run courses throughout the year in Granada and the course costs 1300 euros. I would like to know what the requirements are for teaching in Spain. I have higher education and many diplomas with regards to working in the medical industry as a Bookkeeper. I had my own home based small school for 3 years and obtained my TESOL Certificate in 2016. How does one go about getting a work visa and other relevant documentation? Thanking you in advance for your time and assistance. awarded in 2014. I have been working casually here as a Test Invigilator and International Scholarship Marker for The Australian Council for Educational Research. I’m really wanting change and greater challenge in my life and this article regarding teaching in Granada appeals greatly to me. I live in country Australia so I’m used to very hot weather. I have current Australian and British dual nationality. Could you please send me some more information about how I might go about establishing myself as an English teacher in Granada. Is it possible to teach in Granada from January to April? Any jobs available for this time?